Tweets so hard that tah Pokemon that its defending gets paralyzed. 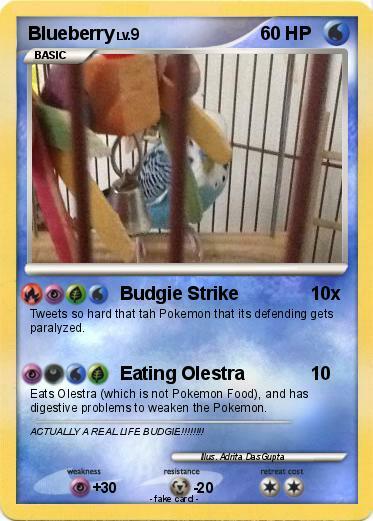 Eats Olestra (which is not Pokemon Food), and has digestive problems to weaken the Pokemon. Comments : ACTUALLY A REAL LIFE BUDGIE!!!!!!! !